Becky Jones is the Elementary School Director at Empower College Prep (Grades 3-6). She is originally from Texas and graduated with a BA from Texas Lutheran University. 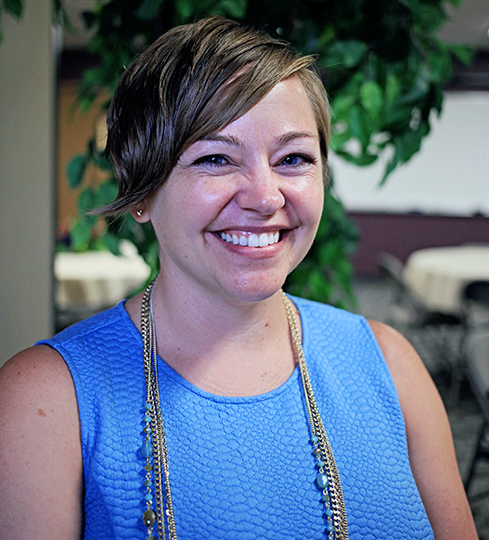 She moved to Phoenix in 2006 and obtained her MA in Teaching from Grand Canyon University. Becky was the Teacher of the Year at Imagine Camelback where she taught 2nd grade in 2010-11. Since then, she has taught in multiple grades as young as Kindergarten and as old as 6th grade, during which time she has increased proficiency as much as 40% in one year to as high as 85%, while coaching cheerleading, volleyball, and baseball. She has also taught in Massachusetts and before returning to Phoenix in 2016 spent some time in Ohio where she served in leadership for two years. Becky is a proven leader and manager who provides an extraordinary new perspective to take our organization to the next level. Kimberly Ward attended Arizona State University where she studied Elementary Education. She received her Bachelors of Arts in Education. Kimberly has worked in education for 18 years in Phoenix, Arizona. Her classroom experience consist of Middle School Math instruction (7th, 8th and Honors Algebra), Elementary instruction (2nd, 3rd, 5th and 7th ELA), and an Instructional Coach. As the Director of Curriculum and Instruction, she aims to serve the scholars of Empower College Prep and their families by establishing and overseeing instruction that yields a strong environment of educational excellence. Diego Poveda has been with Empower College Prep for three years and now serves as its Operations Coordinator. Diego also coaches the 6th-8th grade soccer team, which brought Empower their first championship trophy in 2014-2015. In his free time, Diego enjoys playing outdoors sports.